Planting Cabbages: Teen-Chef Alumni Series: Meet Jonathan! and Make Aioli. Teen-Chef Alumni Series: Meet Jonathan! and Make Aioli. Meet Jonathan and Follow His Journey to China! Where are they now? 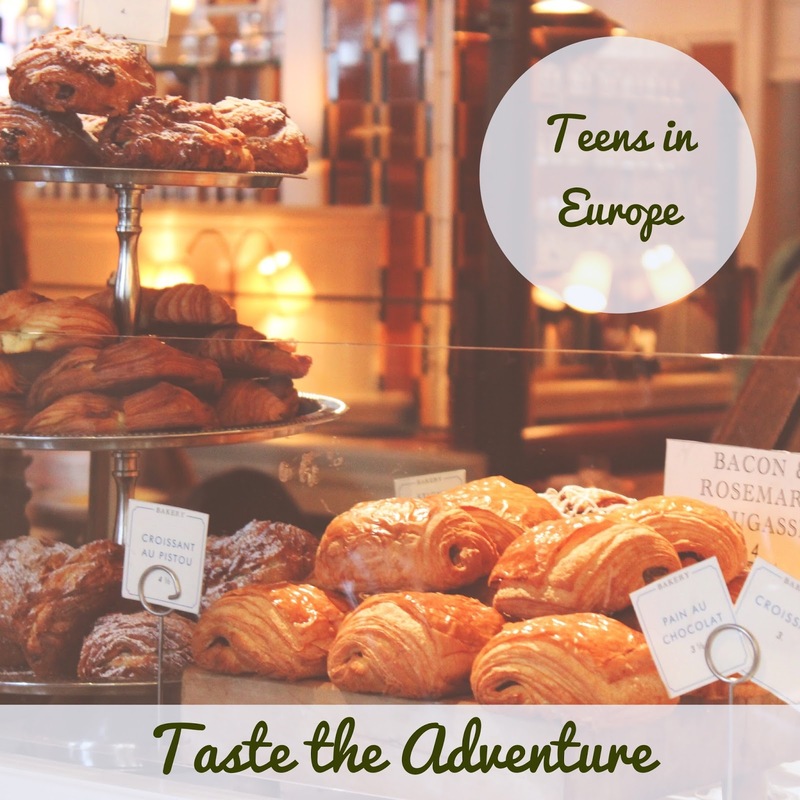 Our continuing series checks in with our once teen students, now friends, who joined our past Taste Adventures. Since then they've scattered and created incredible lives that radiate out from when we visited farms and fromageries, made rose scented chocolates with world famous Joel Durand, made crepes, morning brioche and goat yogurt, watched bees buzz over lavender fields, discovered the sharp taste of olive oil, and learned a Provencale secret of mashing garlic, with a fork! Now they are busy melding new ingredients into their own Taste the Adventure journey. 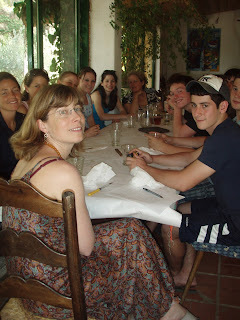 What joins us, still, is this over-riding passion for food, community, and sharing around the table. When Jonathan joined us he was a studious lad from Connecticut, driven academically. He was anxious to put smiles on everyone's face as they ate his papeton de aubergine, a pesto and roasted eggplant pate, at the long dining table at Ecole de Cuisine Provencale in Arles. Those tables have gotten wider, and longer, and stretched across oceans. In Jonathan Ginsberg's case, his journey took him across the Pacific Ocean and the aromas of ginger, garlic, and szechuan peppercorns. On a recent trip to California to promote our 2017 Programs of Taste the Adventure, Erick and I sipped cappuccino's and espresso's and sat forward to hear Jonathan's tales at a cute little cafe near Walnut Creek. He had a lot to share, including that spark of curiosity that had taken him to Provence. 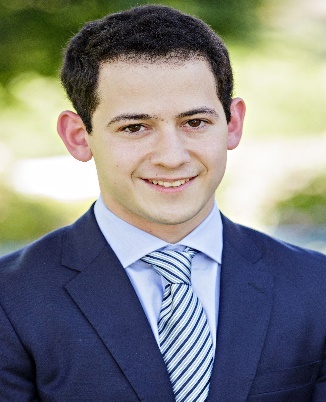 In recent years Jonathan co-founded BEEC, Beyond Educational Consulting which in big words provides comprehensive education consulting to students in America and abroad. They focus on high-level service to students, with a team of consultants who have rich experience successfully helping students plan and achieve their education and career goals. What inspired him to offer the services of BEEC was his own time studying in Shanghai, practicing Mandarin, a love of and an eagerness to give back to his mentor. I asked Jonathan, what is it like to be that big a part of Chinese culture, that now he brings Chinese students to the US, and that their culture is now your culture, too. "There's so much to say about Chinese cuisine, and exploring that and learning that is great. But I know what you're saying, going beyond food is an exploration of culture, and the study of language helps reveal or is a tool to understand the culture. And now having Chinese students come to America, we are exposing them to American culture. "He took a sip of cappuccino. "I still remain passionate about food and in fact, we had a tour of students from China and a cooking class was part of the tour! Cooking is as much about food as it is about people." 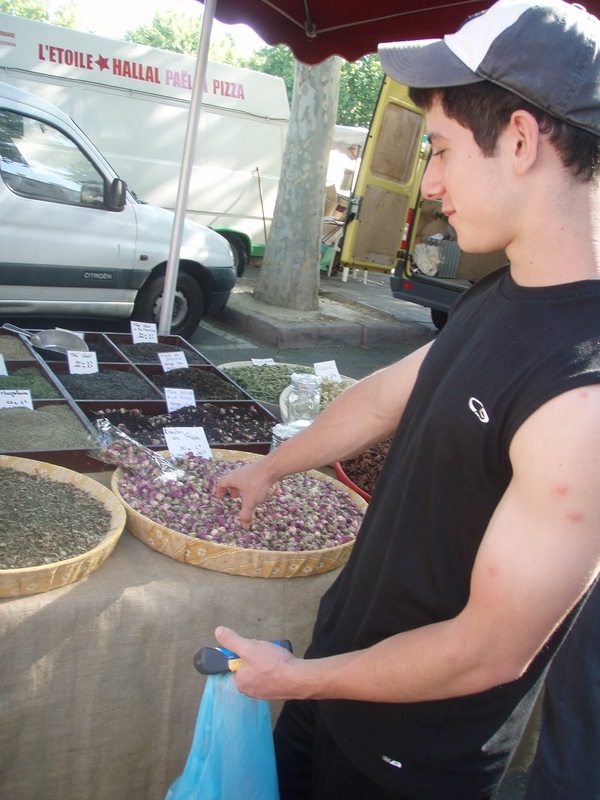 Way back in 2007, Jonathan wrote this essay for his entry into our Provence program. I think it speaks volumes about who he grew up to be. In a world with McDonald’s on every corner and a Starbucks to fill the gaps, subsistence cannot be a valid benefit of knowing how to cook. Instead, cooking, now an optional part of our lives, has been elevated by those who pursue it to the level of art. While I am searching for the chocolate with the perfect cacao percentage for my chocolate flourless cake, it is no different than a painter scavenging to find the exact shade of blue for his sky. While cooking, I feel in control. I am creating, I am tasting, and unfortunately, all too often rushing to cover my burning espresso glazed brownies with tin foil. I enjoy cooking, I especially enjoy cooking with others and using my culinary skills to put a smile on someone’s face. I think, by studying and improving my skills abroad in such a beautiful town, no less, as Arles, that my interest and passion for cooking will be catapulted to new heights. To even imagine being in the same town that housed Van Gogh is somewhat surreal. This may have sounded roundabout, but these truly are the benefits of cooking in my eyes. Cooking gives me an outlet for invention, and acts as a gathering point for friends and family. When I put together a meal for whomever, even strangers, to see the enjoyment on their face, that is the true life benefit of knowing how to cook. Merci, Jonathan, it was great catching up! At the beekeeper's table with Madeleine Vedel! Jonathan shopping in the Arles Market. We made huge bowls of aioli in provence, stirring with the mortar and pestle until the thick gold mayonnaise almost spilled over the edge. this dish is a rich and nourishing favorite of the fishermen of the camargue. hearty, strongly flavored with garlic, we've added some szechuan peppercorns to give it a little je nes c'est quoi, Chinois style! in a frying pan sweat the sliced onion (simmer in the oil till translucent), add the squid and brown lightly, add the white wine, bay leaves and salt. add a cup of water and cook for 20 minutes. in a bowl start stir with a whisk or a fork the first egg yolk, the lemon juice, the salt, mustard, and szechuan peppercorns; pour in the olive oil in a steady and thin stream, carefully whisking it into the yolk mixture, stop when you reach a good relatively solid texture (about a cup of olive oil). pour your pureed garlic into the aioli, whip up stiff. then, go back to your simmering squid and add the potatoes and cook for 15 more minutes. when the potatoes are cooked (a knife goes in easily) drain all and mix in the aïoli with a pinch of saffron. alternatively, you could add the potatoes at the same time as the squid and cook for a shorter period of time.